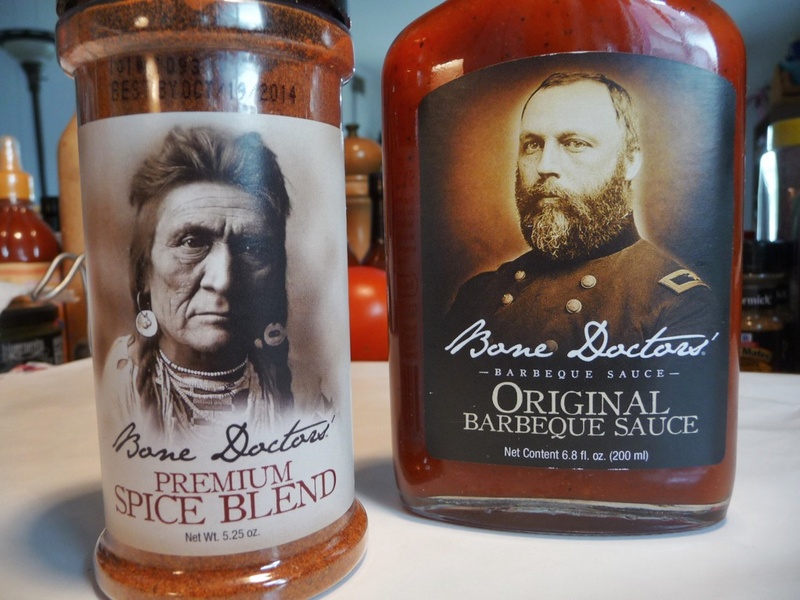 Bone Doctors’ Barbeque Sauces were created by Dr. David and Dr. Bruce, two orthopedic surgeons (bone doctors) with a love of barbeque. 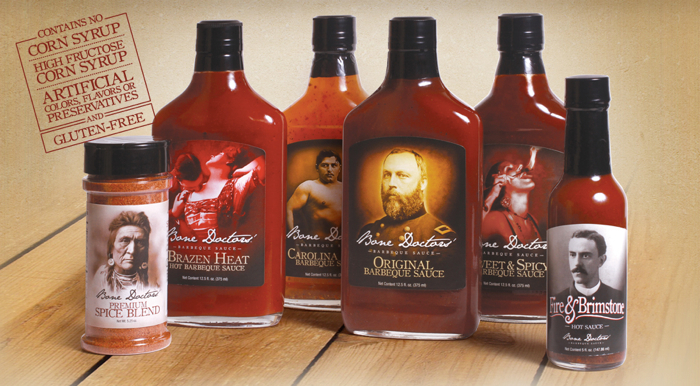 Original, Sweet & Spicy, Carolina Bold, and Brazen Heat Barbeque Sauce, along with Bone Doctors’ Premium Spice Blend, complete with vintage photographic labels, round out their lineup of products. We’re going to look at their Premium Spice Blend and their Original Barbeque Sauce and see just why their slogan is “The Cure for the Common Barbeque”. Ingredients: spices, sugar, salt, garlic, and onion. Those are the ingredients as listed on the label. Oddly, the ingredients listed on their website is different. (Sugar, Kosher Salt, Paprika, Spices, Chili Powder, Garlic, Onion). I”m not sure which is more current. I’ll have to contact them for clarification. Texture & Appearance: Marilyn tells me this is a reddish-orange color. It’s a very fine, almost dusty grind. 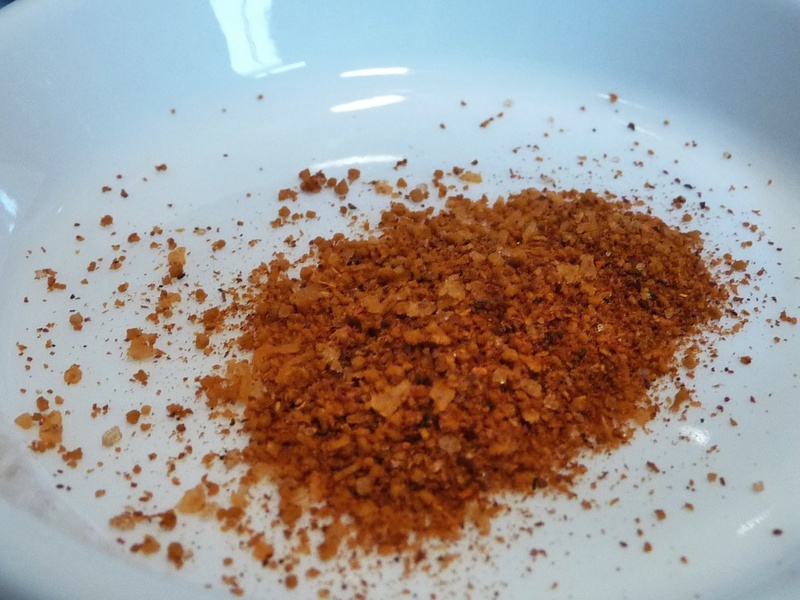 Despite the larger flakes and granules in our closeup pic, shaking this spice blend or “rub” onto the food showed us just how fine it was, and how quickly it came out. We had to force ourselves to use a light hand in shaking it out. Taste Straight Up: – Sweet, savory with some chile pepper (perhaps cayenne? ), and just slightly salty. We’ve found that the salt “cooks away” from most rubs that are heavier on salt. This was one of the less salty tasting rubs we’ve had lately. Heat Level: Minimal. Less than 1 out of 5. Label/Graphics: – Very classy. True to the Bone Doctors’ theme of vintage photos, the rub features a photo of an Indian Chief or perhaps, given the theme of Bone Doctors, a Medicine Man. For you backyard BBQer’s out there, this rub would be a great addition to your everyday seasonings for the grill. The Original seemed like a good place to start with this foursome of BBQ sauces. Ingredients: ketchup (tomato concentrate, sugar, vinegar, salt, onion powder, spices, natural flavor), sugar, Worcestershire sauce (dextrose, salt, sugar, caramel color, garlic, spices, citric acid, natural spice extractives, annatto color, white vinegar, cayenne pepper), lemon juice, seasoning blend, horseradish, mustard powder, kosher salt, garlic. Texture & Appearance: A rusty red color with flecks of seasonings. Medium thickness, it was a bit of work to coax the sauce out of the flask bottle. Marilyn: Out of the bottle, I found this to have a slightly sweet flavor up front, with a vinegar background. The Worcestershire sauce adds a nice dark flavor that blends with and smooths out the other ingredients. 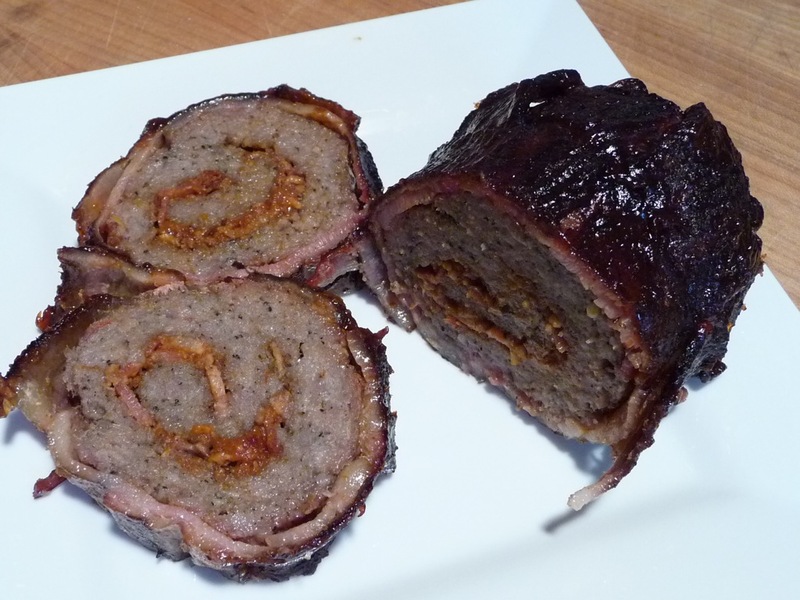 Brian: I don’t get the sweet up front – for me it was a nice hit of vinegar, followed by a dark, almost “umami” aspect. I think there is a black pepper component within the “seasoning blend” that gives just a hint of spiciness. Heat Level: – Very mild heat. Just slightly spicy from the cayenne and horseradish. Label/Graphics: – Five stars for the great vintage photographs that adorn Bone Doctors’ labels. Bonus points for the “flask” style bottles. The Original Barbeque Sauce label features a Civil War officer. See our pics below for the other 3 bbq sauce labels. Brian: This sauce is very “middle of the road” in the sense that it is truly a barbeque sauce with no pretentions. It’s not too sweet, too vinegary, too spicy, too thick or too thin. I would put it in the same class of bbq sauce as Draper’s BBQ Sauce both in usefulness, consistency, and overall good flavor. Marilyn: Very pleasant. I liked the balance of flavors, and that is wasn’t too thick or gloppy or overbearingly sweet. We’d love to try this on chicken. Too bad we didn’t get the bigger bottle! For the Labor Day weekend, we decided to make a couple of Bacon Explosions. We needed 2 things – a good rub, and a good BBQ sauce. So we decided to pair Bone Doctors’ Premium rub with their Original BBQ sauce. This turned out to be a great 1-2 punch on our Bacon Explosions. One was made with a “hot” breakfast sausage (Jimmy Dean “Hot”), and one with Sweet Italian Sausage (bulk sausage from Johnsonville). We made one of each to help us decide which we preferred – the breakfast sausage, or the Italian sausage. After all this, we still don’t know which we like best! 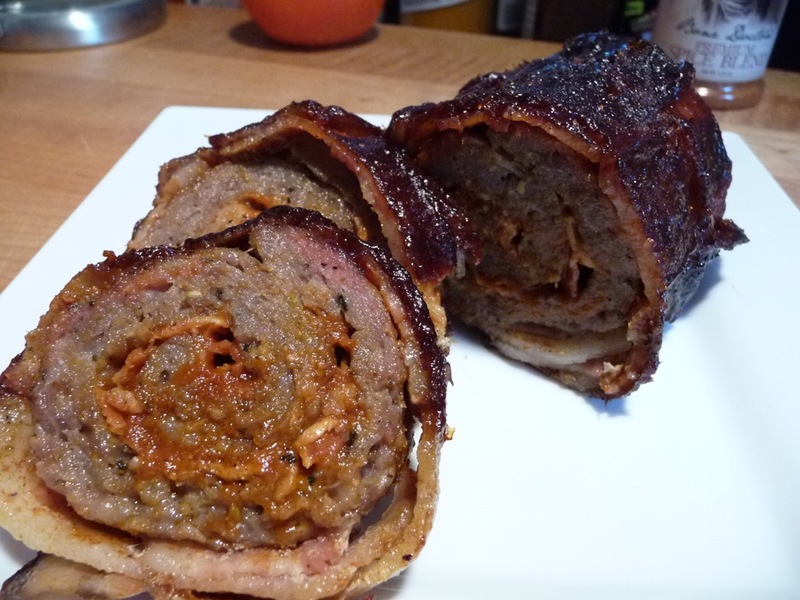 The Bone Doctors’ Premium Spice Blend added just the right amount of spice both inside and out on the Bacon Explosions. 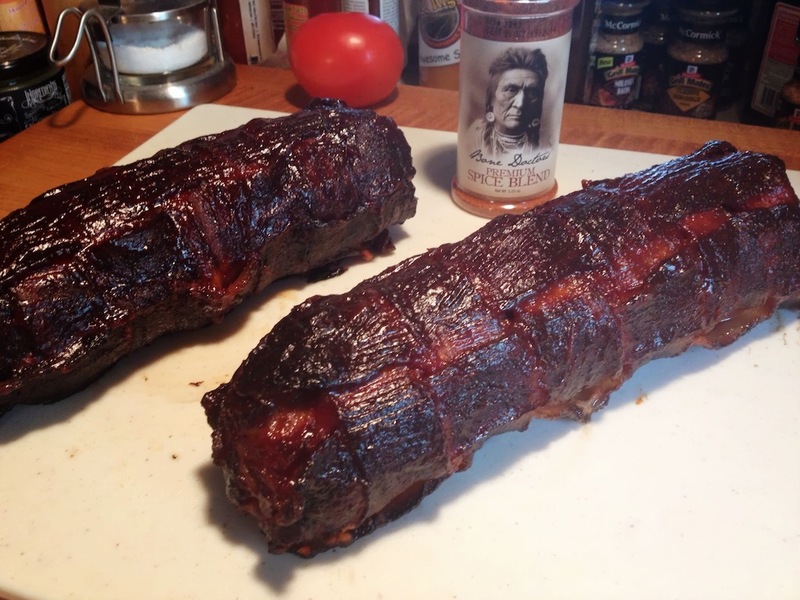 And while the original recipe for Bacon Explosions calls for a thick, sweet, sugary BBQ sauce (for both thickness and glaze properties) such as a “Sweet Baby Ray’s type of sauce”, we really enjoyed the savory, dark flavor of Bone Doctors’ Original Barbeque Sauce on these babies. And our neighbors concurred. It was a good Sunday night on Labor Day Weekend, 2013! Bone Doctors’ BBQ Sauce began 27 years ago, when physicians Dr. David Heilbronner and Dr. Bruce Wilhelmsen first met. After realizing they each possessed a strong sense of culinary curiosity, the pair of orthopedic surgeons (Bone Doctors) embarked on a journey to create the “Original” barbeque sauce, using only natural ingredients without preservatives, corn syrup, high fructose corn syrup, artificial flavoring, or coloring. This eventually led to the discovery of the savory blend that serves as the basis for every bottle of Bone Doctors’ BBQ Sauce. 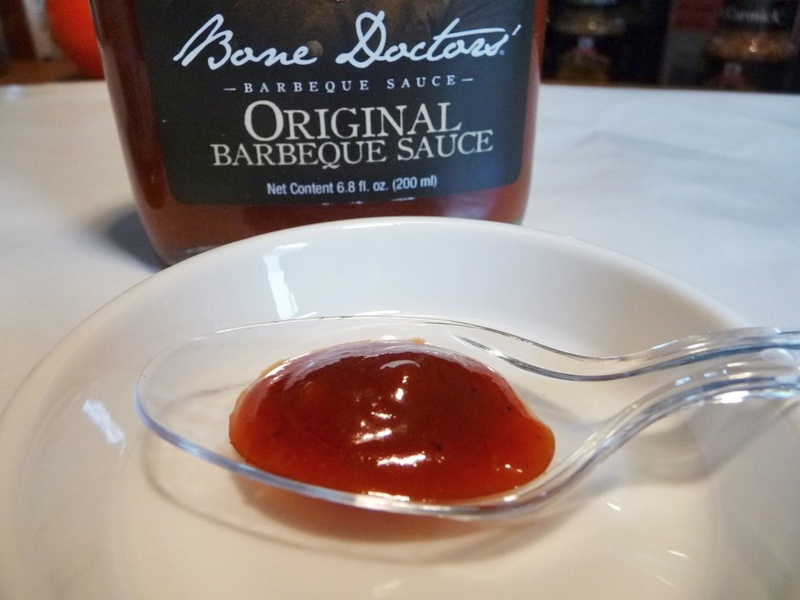 Try Bone Doctors’ BBQ Sauce at your next meal to give your cookout creation a new dimension of flavor. After a few mouth-watering bites, you’ll understand why we say, you have found “The Cure for the Common Barbeque”. Disclaimer: We purchased the BBQ sauces for our own personal use and review purposes. The Premium Spice Blend was a bonus, thrown in for free. The thoughts and opinions expressed here are our own.